Working with lumber can be a dangerous task. From spray paint particles to flying debris and dust, it’s crucial to protect yourself from potential hazards before you begin working with this material. Here is a guide to safety gear you should always wear while woodworking. Never wear loose-fitting clothing when working with power tools. Wear long sleeves, pants, and sturdy, close-toed shoes. To prevent getting tangled or caught in gears, it’s also best to avoid wearing jewelry such as necklaces, watches, or bracelets. For extra protection, wear a shop apron as well. Whether you’re working by hand or with power tools, safety glasses are essential to protect your eyes from lumber dust and debris. 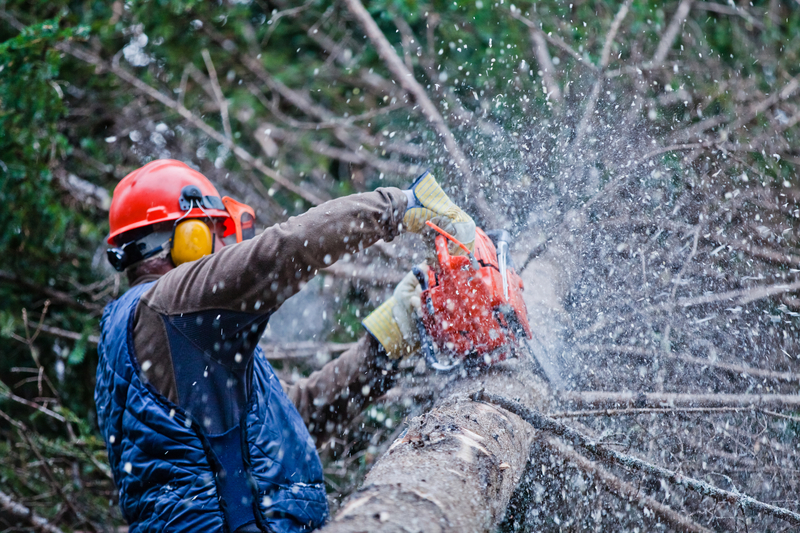 When cutting or sanding lumber, particles can fly and enter your eye, where they may cause damage such as a scratched cornea. Wearing impact-resistant glasses can prevent this. Power tools and machinery can be extremely loud and may cause hearing damage if you’re not wearing proper protection. Earmuffs and plugs will protect your ears; earmuffs provide more surface protection but may be cumbersome. A combination of expandable plugs and muffs is ideal for comprehensive protection. Consistent use can help prevent long-term damage. Power tools like belt sanders, as well as applications such as spray painting, can generate potentially harmful particles, which can spray into your face. You should wear a face shield or respirator to avoid inhaling dust and chemicals. A face shield will also protect your skin from injury. Berthiaume’s Neversink Lumber in Port Jervis, NY, has served the community for over 60 years, providing high-quality lumber, building materials, and home improvement supplies. If you’re in need of lumber, hand tools, or home improvement materials, contact this local hardware store by calling (845) 856-5161. Or, visit the website to learn more about all they have to offer.